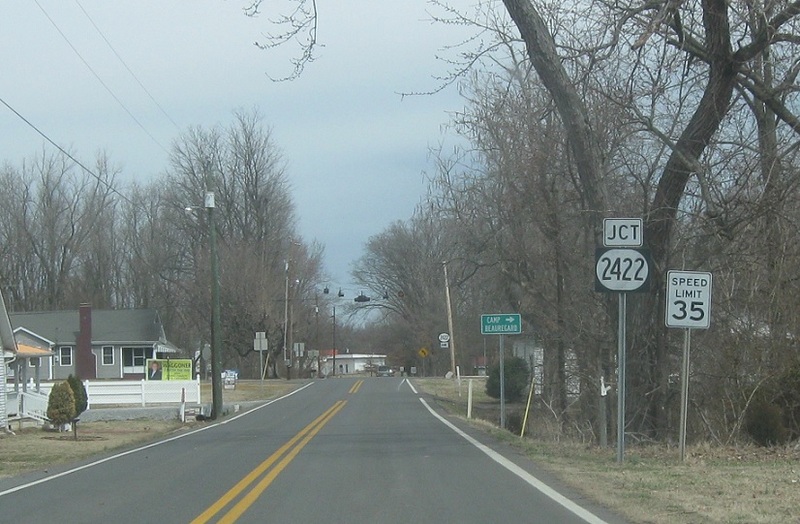 Reassurance shield after the 1283 junction. This is confusing. 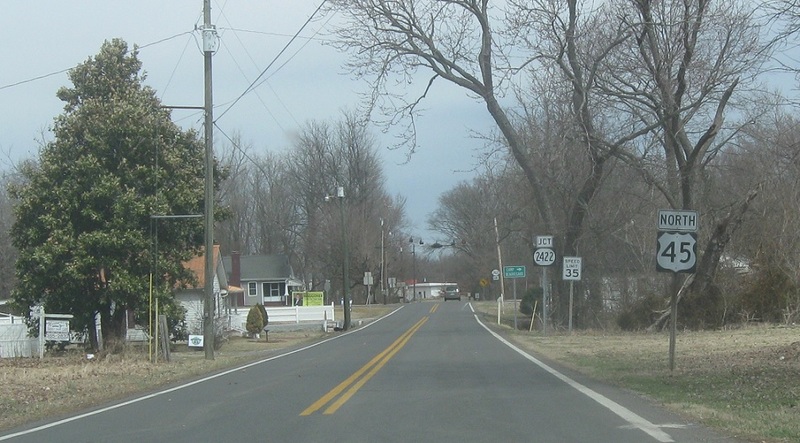 In a block, we’ll approach KY 1839, which isn’t signed, and a locally maintained couple blocks that connect to KY 2422, but are not part of the state highway system. 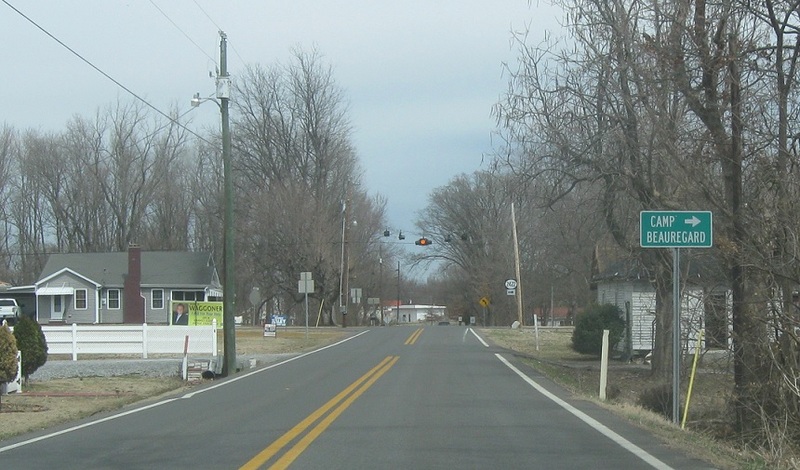 Follow 1283 to a local road to 2422 for Camp Beauregard. 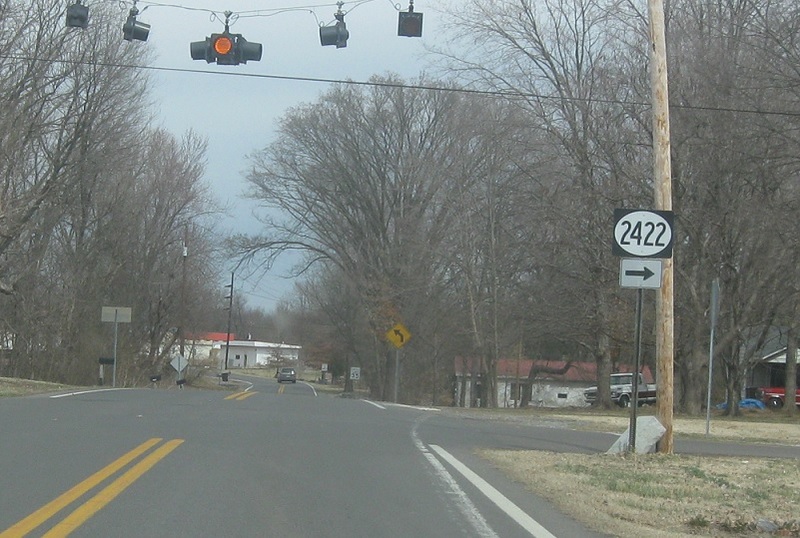 Turn left for KY 1283 west (a two block spur to nowhere) and right for KY 1283 east, signed as KY 2422 for clarity.